On November 22, 2012, many celebrated the national holiday, Thanksgiving Day with friends and families. In the US, Thanksgiving Day is celebrated on the fourth Thursday of November and has its historical roots in religious traditions of giving thanks and celebrating the harvest of the year. As I celebrated a sumptuous feast with my family on Thanksgiving Day, I also want to be thankful to the hundreds of donors of the Bayanihan Foundation. In 2012, many supporters have been generous with their time, money and moral support as the foundation continues to help back in the Philippines. 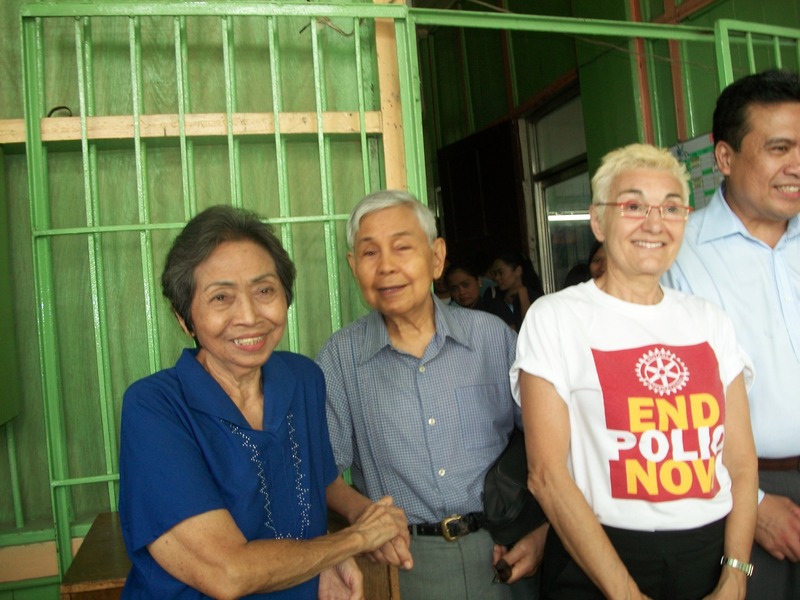 Both Jay Althouse and Carol Cory are members of the Rotary Club of Chicago Far North and have traveled with me to the Philippines in January 2012 and visited the joint projects of the Rotary Club of Chicago Far North and the Bayanihan Foundation. 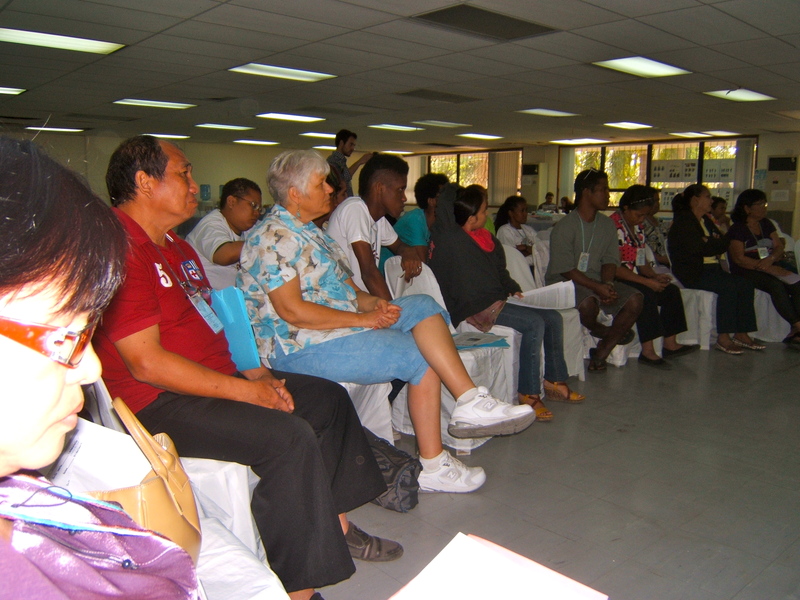 Carol and Jay, spearheaded the efforts and sponsored a series of peace building workshops in Iligan City, Philippines. 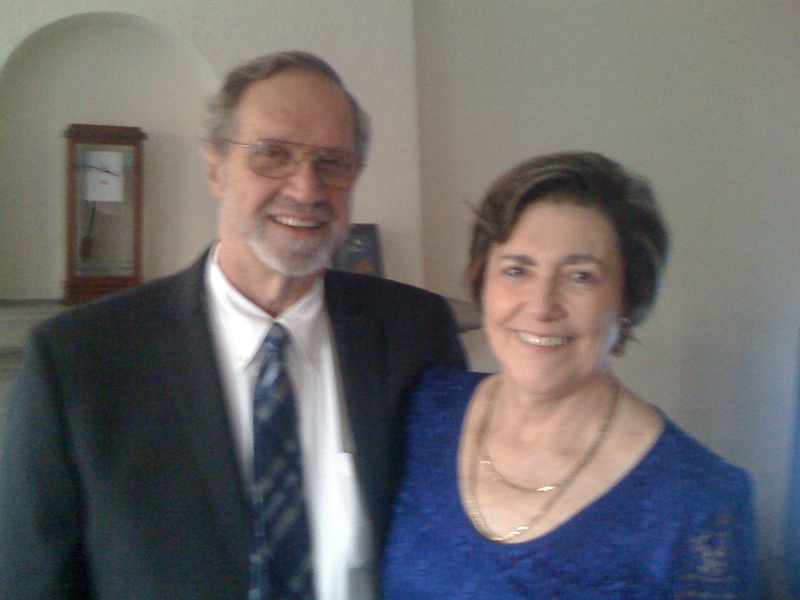 Carol and Jay are both retired clergy and had extensive experience in peace and reconciliation efforts in the past. 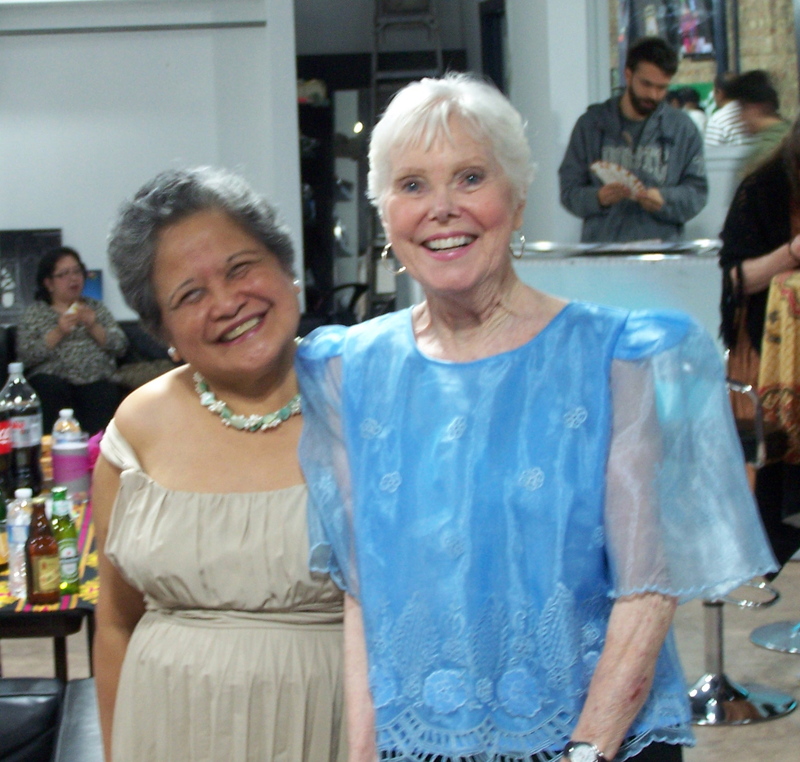 Both Myrla and Evelyn have shared their decades of nonprofit, philanthropy and community organizing experience to established and stabilized the foundation during the last two years. 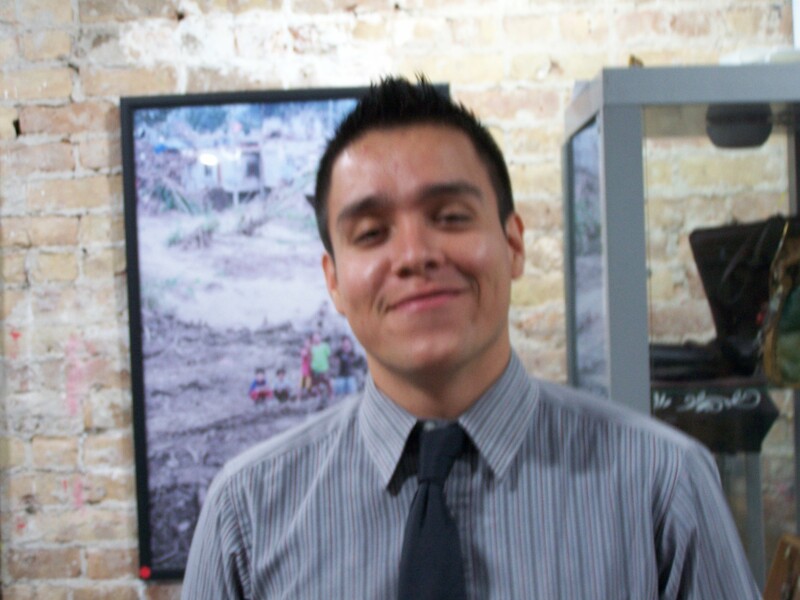 Pio Candelaria have shared his extensive graphic design expertise with the foundation. He also have donated some of his paintings for auction. Since 2010, Mauricio Roman has donated extensive amount of his time in marketing, communications and development for the foundation. 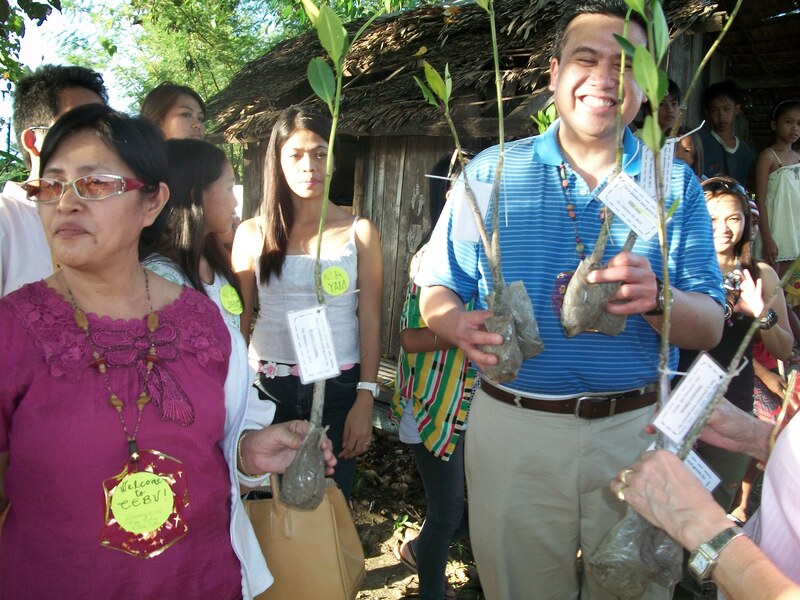 Bayanihan Foundation board member, James Castillo have donated his time and money in leading the foundation in youth leadership development efforts with the NEXTGEN project and planting mangrove trees and environmental sustainability in Cebu, Philippines. In 2013, James plans to join the foundation’s next ‘Pagbabalik’ (Coming Home) workshop and will hold a film project and fundraiser for the foundation as well. 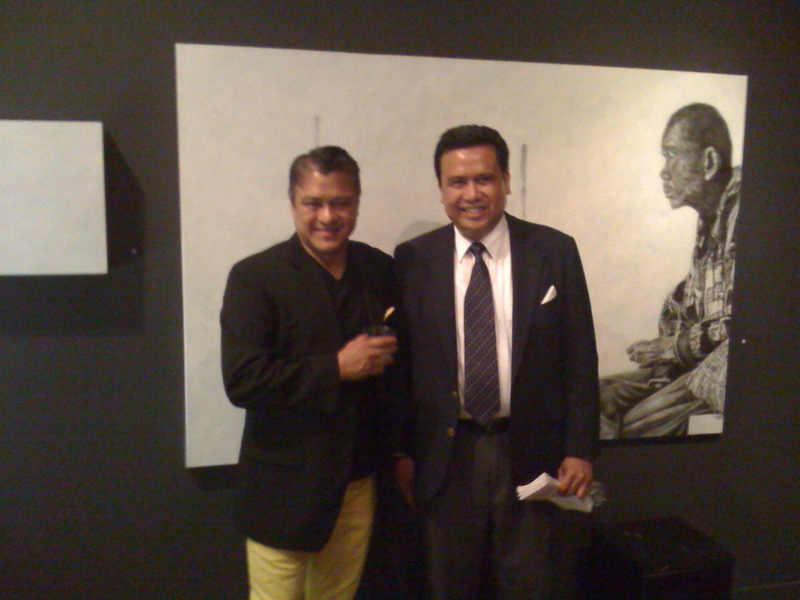 Filipino American artist Cesar Conde donated partial proceeds of his closing exhibit to the Bayanihan Foundation last August 2012. 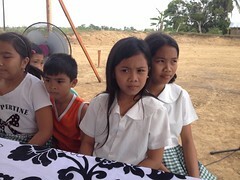 His generous donation will support more mangrove tree planting and youth leadership development in Cebu, Philippines. 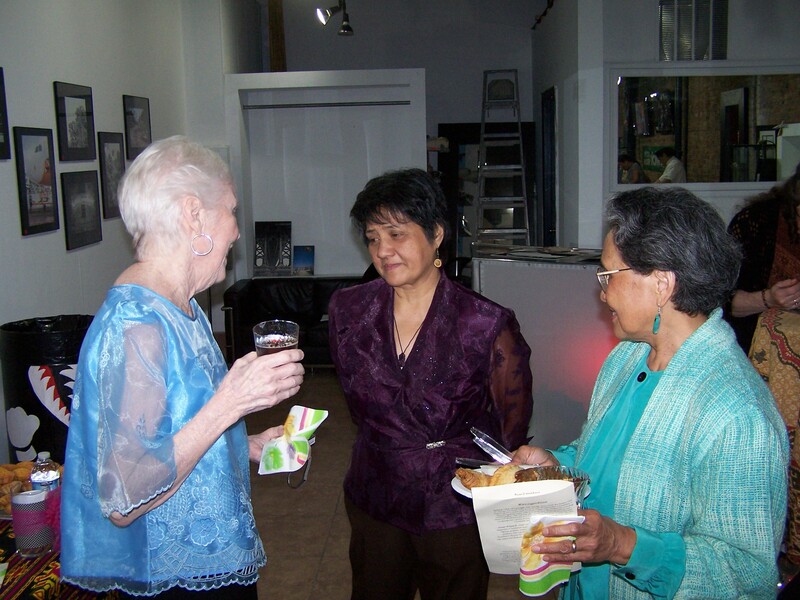 Since its start in 2008, Barbara Dix has been sponsoring generously the projects of the Bayanihan Foundation. In May 2012, Barbara joined the fundraising celebration of the foundation in Chicago. 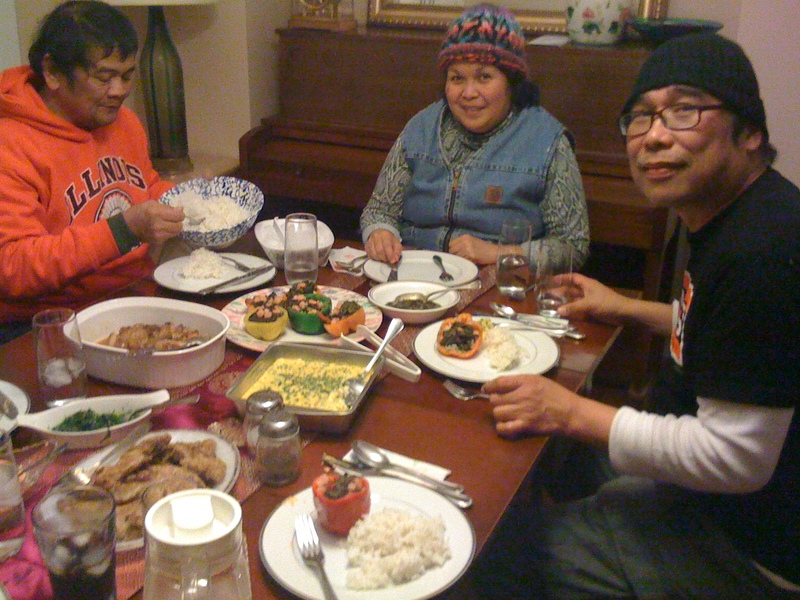 Since 2008, my partner Will Dix have supported the efforts of the Bayanihan Foundation and is planning to join the ‘Pagbabalik’ (Coming Home) workshop in Cebu, Philippines in January 2013. On October 2012, Heman Ezra celebrated his 50th birthday celebration and invited his friends and family to celebrate his birthday. In lieu of gifts to himself, he encouraged everyone to donate to the Bayanihan Foundation. Proceeds will go towards planting mangrove trees and youth leadership development in Cebu, Philippines. Ruth and Heman Ezra will also be joining the foundation’s board. Since 2011, Maria Ferrera had been involved in developing the participation of young Filipino Americans to be involved in giving back to the Philippines. 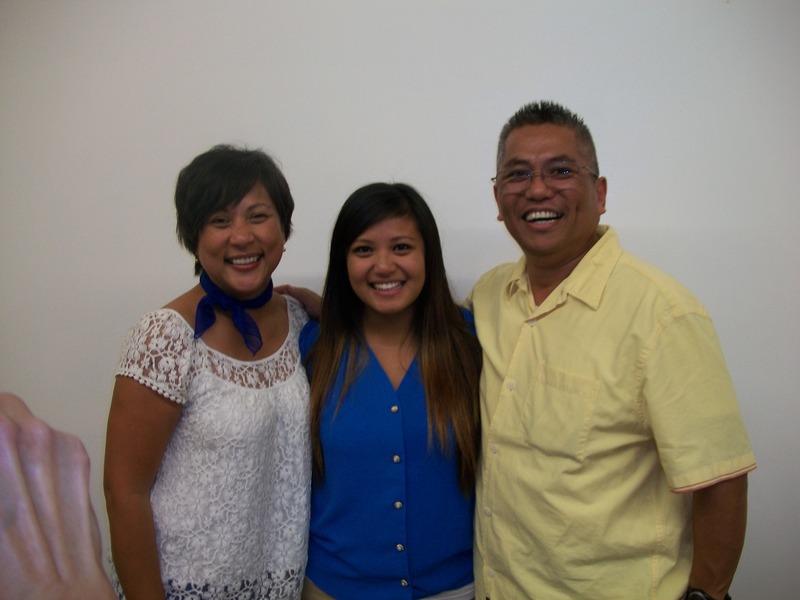 In 2012, Maria led efforts and discussion on NEXTGEN, involving young Filipino Americans to give back to their homeland country. 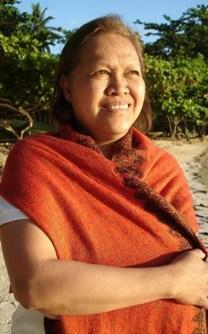 Dorothy Friesen had generously sponsored Body Talk holistic activities in Clark and Subic, Philippines. The Bayanhan Foundation is sponsoring Body Talk holistic healing activities in the area, especially to victims of toxic wastes left behind from the former US military installations in the Philippines. The late Susan Kirpach and Ted Kirpach have been one of the earliest supporters of the Bayanihan Foundation. Susan Kirpach have always been instrumental in the growth of the foundation and Ted Kirpach continues that legacy of involvement and support. In January 2012, Edouard Pierre joined the Bayanihan Foundation’s workshop in the Philippines and took pictures of the foundation’s projects. In May 2012, he offered his place of work, RGB Lounge & Art Gallery, to host the foundation’s fundraising events. He had shared his professional photographs and creative eye as he took pictures of the foundation’s projects. Since 2008, my mom Shirley Pintado have been very supportive and encouraging of my efforts to help and donate back to the Philippines. 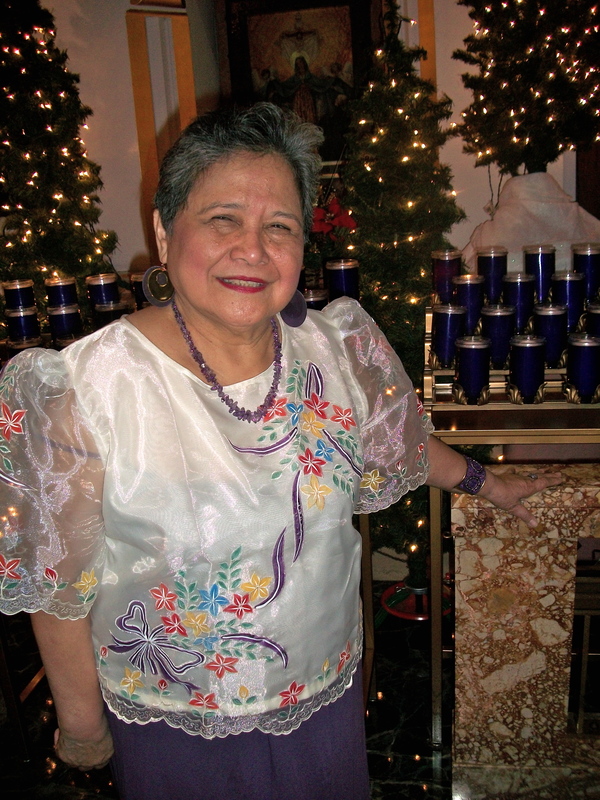 She has contributed financially and cooked countless meals for the many house parties and fundraising events that the Bayanihan Foundation has hosted at her home. 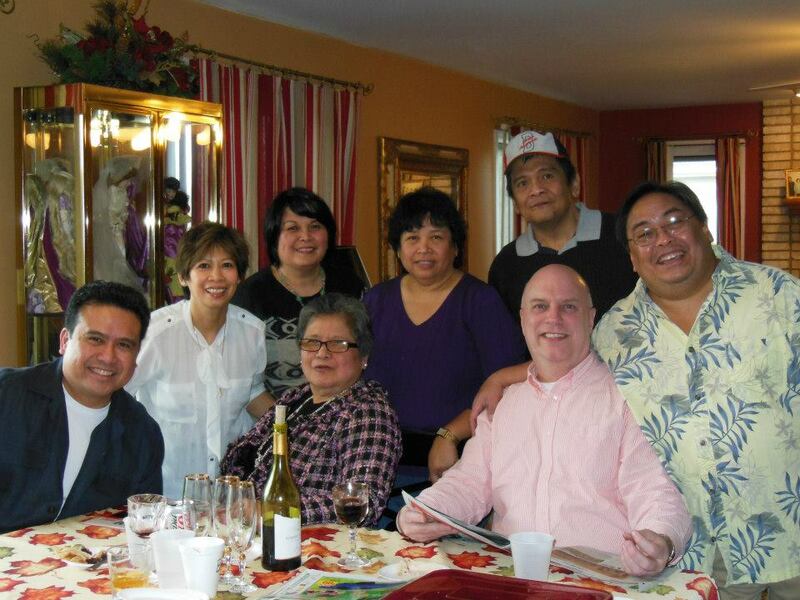 (pictured from left to right: Dale Asis, Carminda Aldeza, Sionie Sales, Shirley Pintado, Delia Saavedra, David Aldeza, Will Dix and Vincent Saavedra, standing far right, Thanksgiving celebration November 2012). 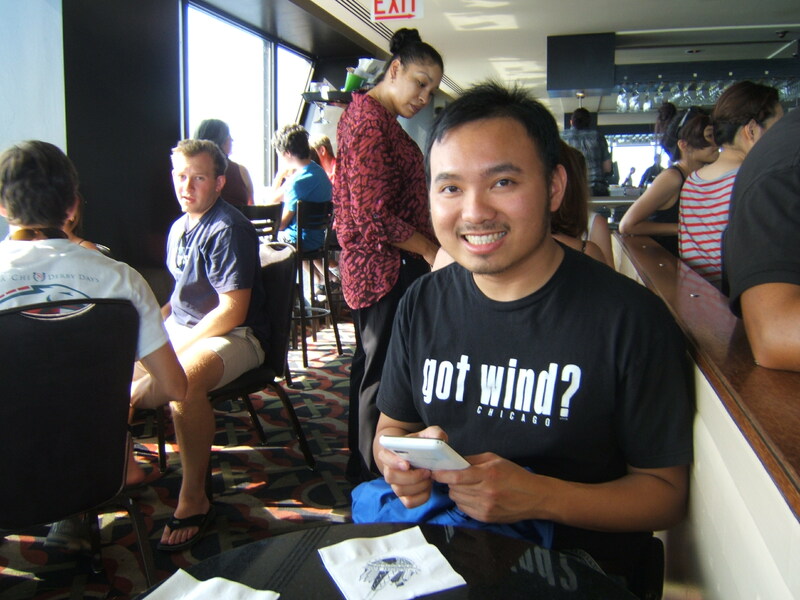 Many of my family members have been generous and supportive of my efforts to help back in the Philippines but none more than my cousin, Vincent Saavedra. 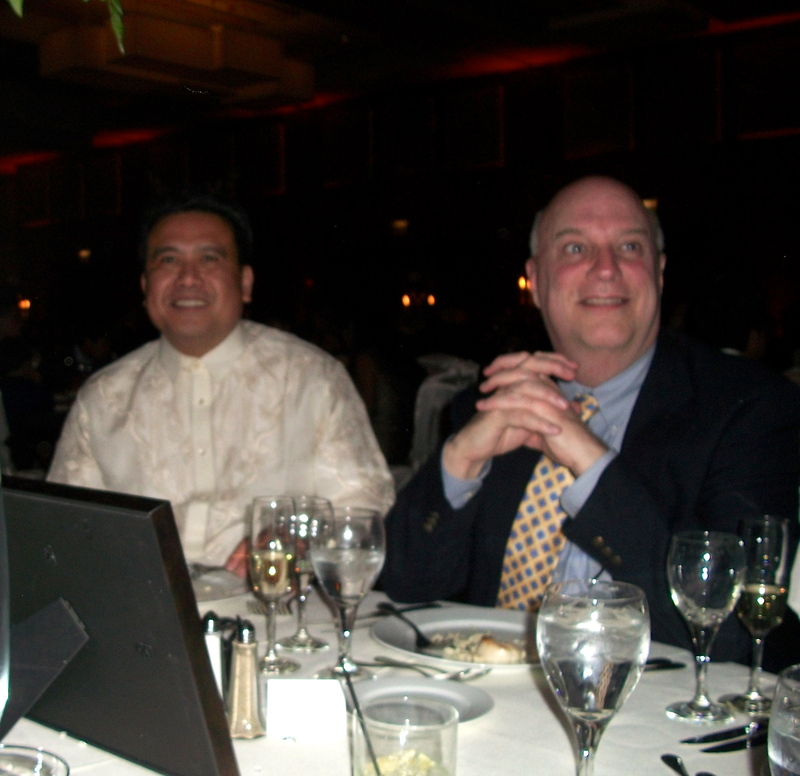 Since 2008, he had supported my early efforts to build homes and water wells in Iligan City, Philippines. In 2012, he generously contributed to help ship 10 Balikbayan boxes of books to Iligan City, Philippines. Dr. Vicente and Luz Saavedra have been instrumental in the success and completion of many projects that the Bayanihan Foundation has initiated in Iligan City, Philippines. They have ensured that the funds we sent to multiple projects there were completed and accounted for. Their transparency and accountability was helpful in getting early support and trust of many other donors to the foundation. 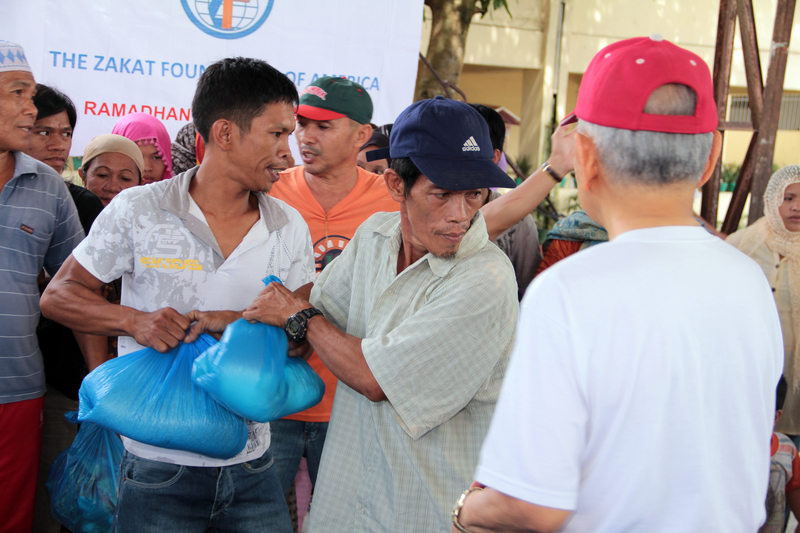 From 2009 to 2012, the Zakat Foundation has generously supported the Bayanihan Foundation in its efforts to provide meals and emergency food supplies to tens of thousands of indigent Filipino Muslims in Iligan City, Philippines. Dr. Vicente Saavedra, Luz Saavedra and Imam Attorney Gandamra also had been instrumental in ensuring the completion of these feeding projects. 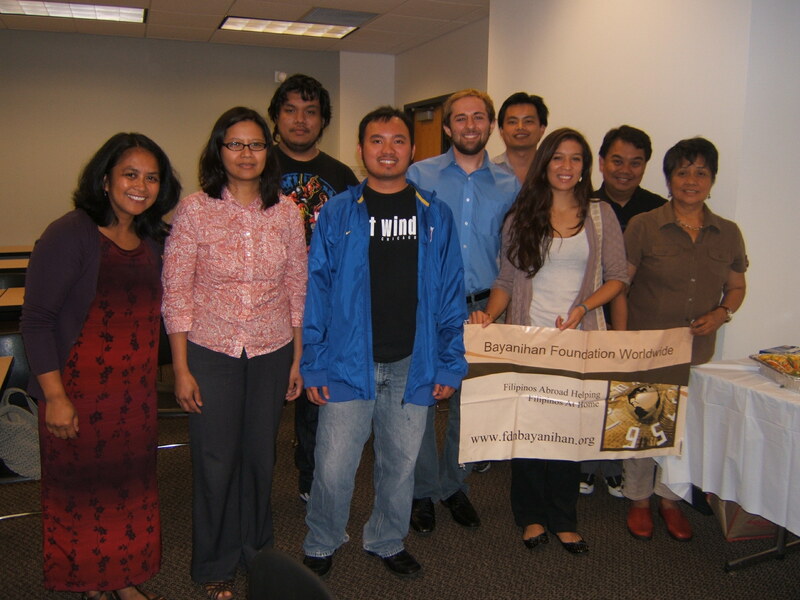 The Bayanihan Foundation thanks all its donors, supporters and volunteers for all their help in 2012. 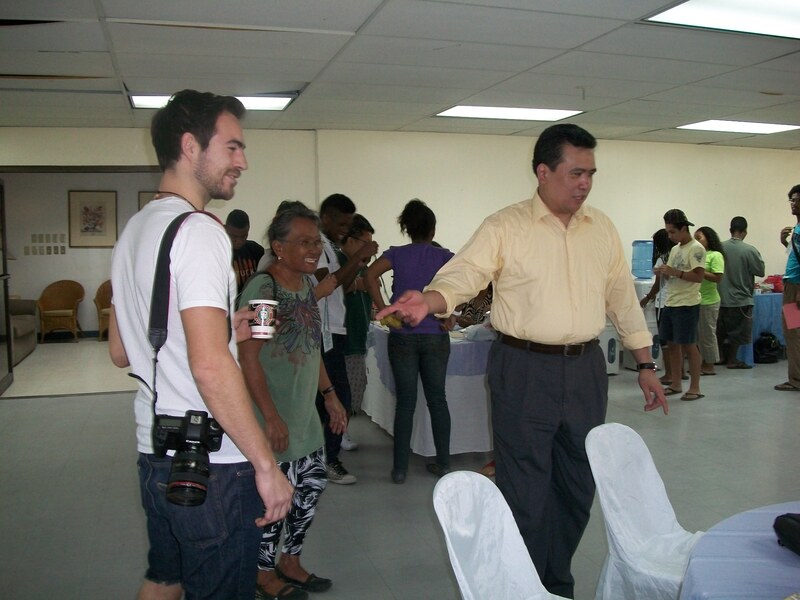 The foundation has a lot to be thankful for all the blessings and gifts so it could continue helping in the Philippines – Filipinos abroad helping Filipinos at home. This entry was posted in Diaspora Donors, Diaspora Giving, philanthropy, Philippines, Youth leadership development and tagged community involvement, Diaspora Donors, diaspora giving, diaspora philanthropy, Philippines. Bookmark the permalink.